I keep telling myself it'll all be OK in the end and that our season won't be defined by games like this one or the one against Arsenal on Tuesday, but we're starting to run out of matches to do something in now. On the bright side, from all the bookie's odds and predictive models people have put together we're still only around a 10-15% chance of being relegated, luckily games are running out for everyone else as well. This was yet another game where a promising first half fell away and the match pretty much over after an hour with Everton's 2 goals early in the 2nd half. 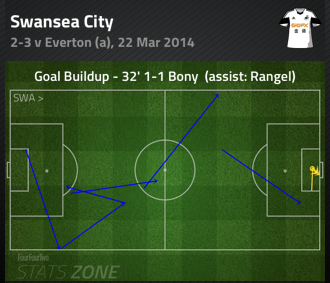 I've seen plenty of criticism of Bony's substitution but if Monk felt game was done then there's some sense in it to keep Bony fresh and to give Michu minutes. 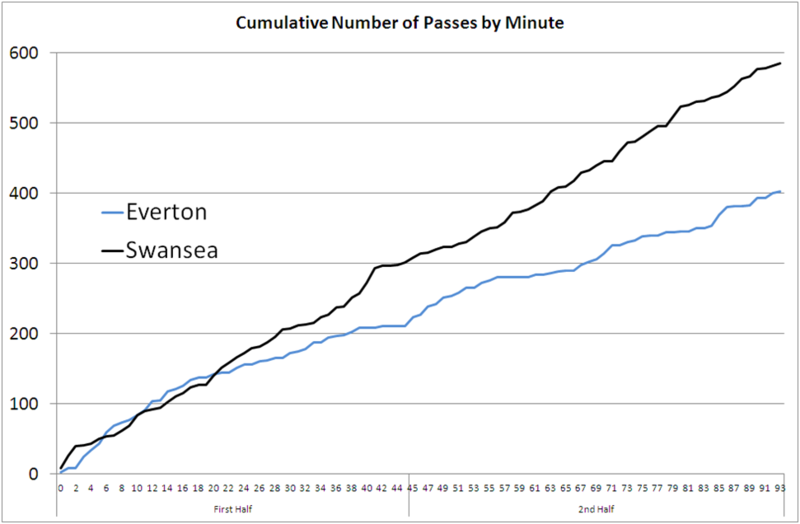 Pass wise it can be seen that after the Everton goal, Swans had the vast majority of the ball and Everton only attempted 3 passes in the last 5 minutes of the first half. Looking at the stats from the match, one of the ones that stuck out for me was the attempted take-ons (dribbles) with Swansea only having one successful which came via Chico. 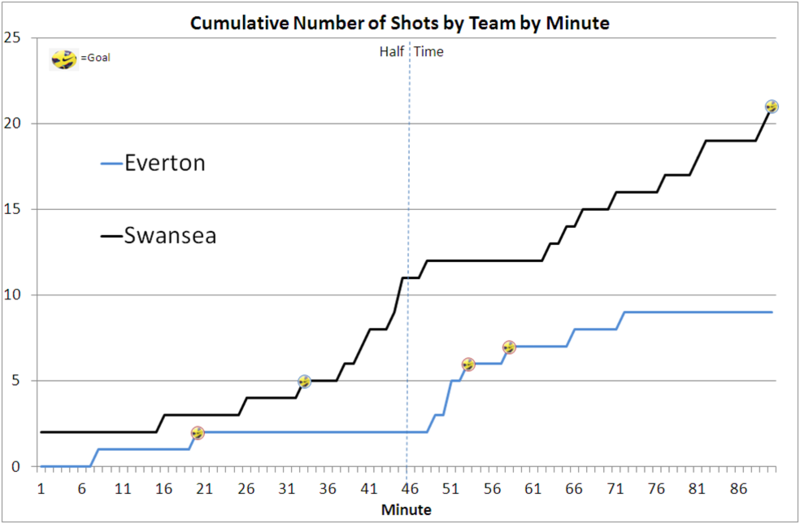 Plenty of activity for the Swans in the right kind of areas but snuffed out by Everton (and in particular by Leighton Baines). For me the Arsenal game represents a sort of a free hit, if we have another first half like we've had in recent games then there's no reason to think we can't repeat the exploits of the win at the Emirates last season.